The bass flute does may require some amplification in order to be clearly heard in large venues. In most performance situations, some extended techniques, such as whistle tones, key clicks and air sounds may require amplification, depending on the scoring and on the acoustic of the hall. Amplification is also a necessity when performing with electronics, to allow an appropriate blend of the sound and matching of acoustic between the live and electronic elements. 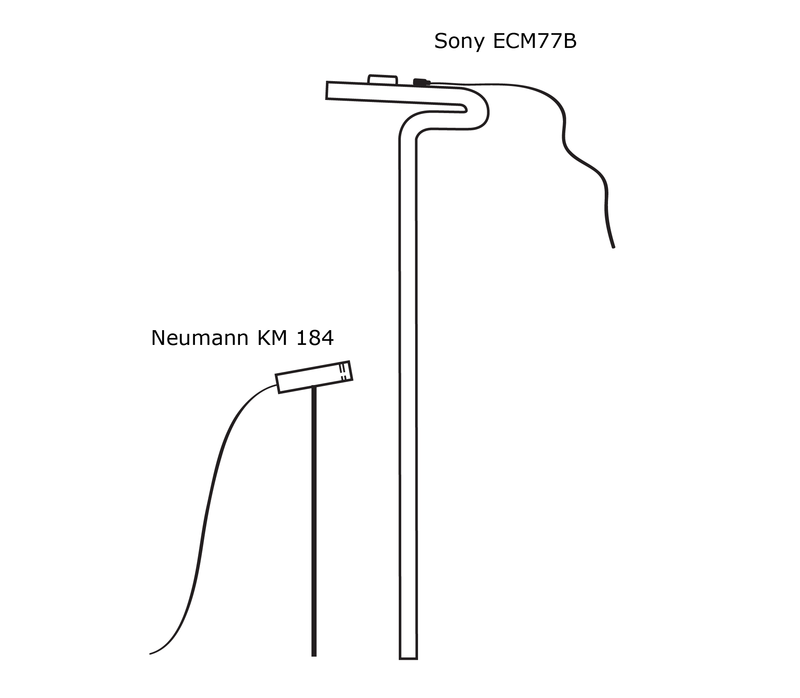 My preferred method of amplification is to use a Sony ECM77B microphone attached to the headjoint of the flute, pointing towards the lip plate at a distance of approximately 4cm. This is enough to clearly pick up the sound without undue interference from the air. 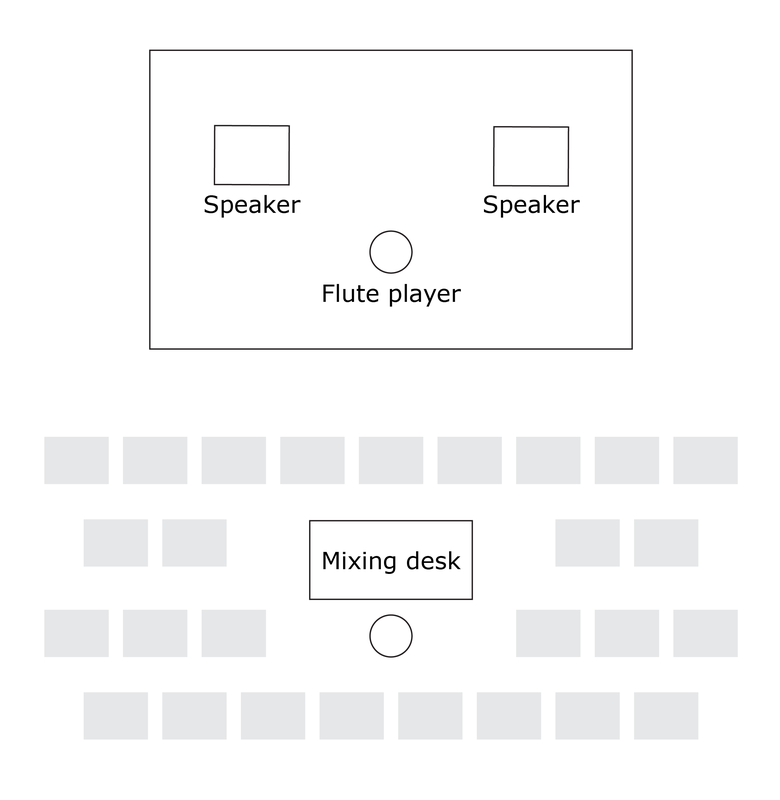 Since the microphone is attached to the flute, the player is free to move at will during performance without being restricted by the position of the microphone. For close amplification of key clicks, a fixed microphone, such as a Neumann KM184, may be positioned close to the flute's keys. Similarly, for extra amplification of whistle tones and air sounds, a fixed microphone in front of the player can be helpful.